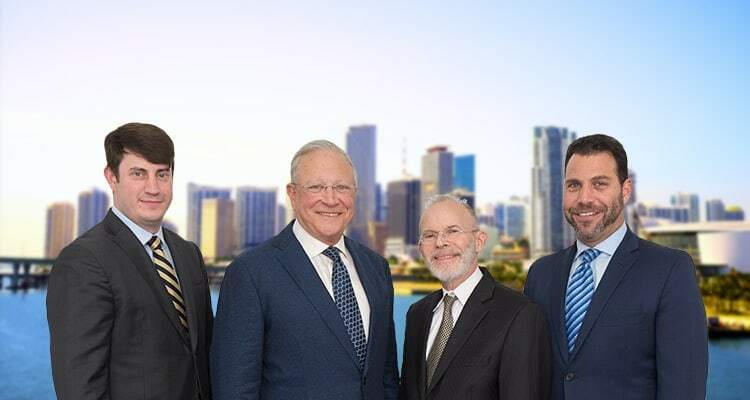 Contact Miami Beach Personal Injury Lawyers Gerson & Schwartz, P.A. According to National Academies, every year more Americans are killed by medical malpractice than die in automobile accidents. Countless more victims survive with lifetime disabilities. For over four decades, medical malpractice attorneys at our firm have fought back against doctors and hospitals to recover compensation for victims. Gerson & Schwartz, P.A. 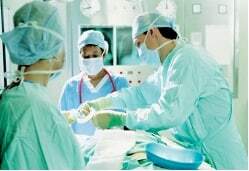 medical malpractice lawyers have experience in negligence claims in almost every medical specialty. Undertaking difficult cases to help define the standard of practice under the law: When a healthcare provider fails to meet the governing standard of medical practice, the negligent act can result in serious injury or even death. Both doctors and hospitals are required to provide care that meets minimum standards. When they fail patients and families are harmed. Before a medical malpractice case is accepted, it is reviewed by at least two medical experts. We consult with leading experts in all fields of medicine routinely. Most often, medical scholars from other states are used to consult and if, necessary to testify. Recently, our law firm broke new ground in Florida medical malpractice law by successfully recovering damages for loss of cryopressed embryos. Here at Gerson & Schwartz, P.A., we care about victims of medical malpractice. We have brought cases in virtually every medical specialty for failure to correctly diagnose, failure to provide appropriate treatment, and surgical errors. Cases involving medical malpractice can be complex, and we have the resources and knowledge necessary to bring a viable claim on your behalf. We believe that fair compensation is owed to patients who were helpless at the hands of a medical professional. We do actually admire doctors and other medical professionals for their commitment to public health and dedication to helping overcoming disease and traumatic injury. However, when mistakes are made professionals must be accountable. When lawyers or engineers make errors we sue them too. Doctors and hospitals are no different. We make them accountable to pay what the law requires. Under Florida law, the statute of limitations for filing a medical malpractice claim is two years. Once it is established that negligence exists, compensation (known as damages) will be awarded to the victim and/or the victim’s family. There are two types of damages: compensatory damages and punitive damages. Compensatory damages cover economic losses such as lost wages, loss of earning capacity, medical expenses, and future medical care. Non-economic damages are included in this category as well and include pain, suffering, and psychological harm. Punitive damages can be also be awarded, but only in the event that conduct constituted gross negligence or reckless disregard for the safety of others. If you or a loved one is a victim of medical malpractice in Florida then we encourage you to contact one of our experienced Miami, Florida medical malpractice lawyers for a free consultation. We will lend a listening ear to your specific situation and then conduct research. Time is of essence as the statute of limitations can prevent you from filing a claim, so call one of our Miami, Florida medical malpractice attorneys at (305) 371-6000 or email us at info@gslawusa.com for more information. Representing victims across South Florida, we are committed to fighting for your rights so that you can focus on what is most important – your health.